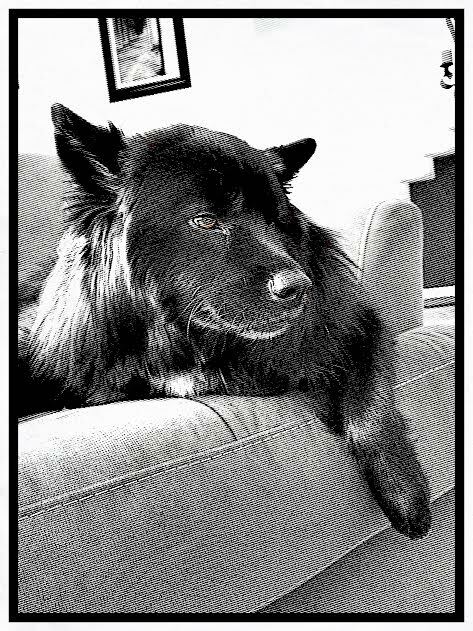 Before I get to posting, just a heads up that I’m playing with photo and text size on Her Dog Blog. Bear with me as it make look different from post to post. And feel free to let me know what you like or don’t like! Welcome to Tuesday. It’s not any better than Monday, is it? Teton’s Tuesday is going quite swimmingly despite the photo above because he’s been chowing down on our latest treat from Chewy.com – Primal Venison Lung Puffs! 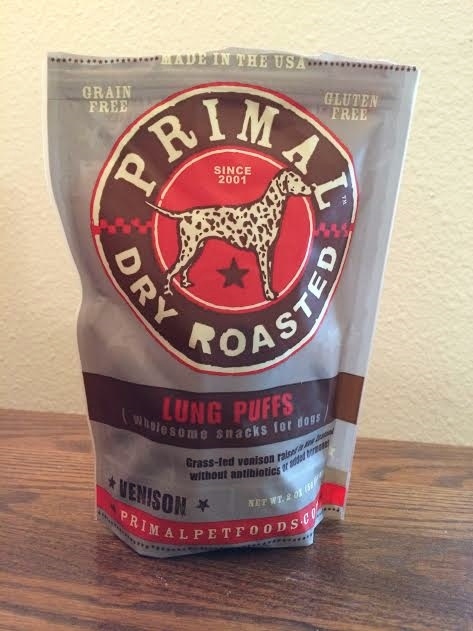 Primal Venison Lung Puffs are made of one ingredient – venison lung. 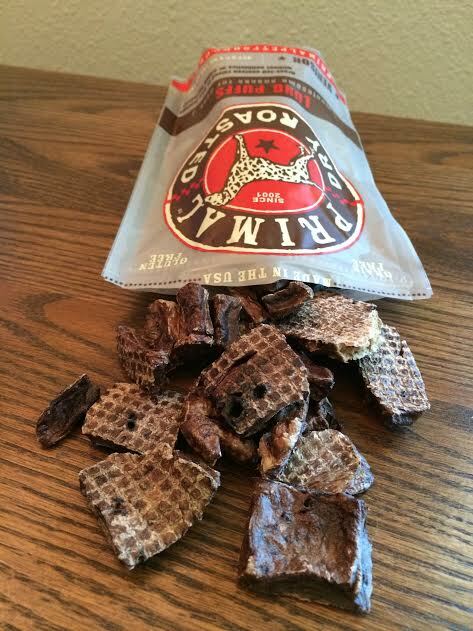 These treats are dry roasted and sourced from animals raised in New Zealand without added hormones or antibiotics. This 1.75-oz bag will run you $6.99 and has the potential to last quite a while. 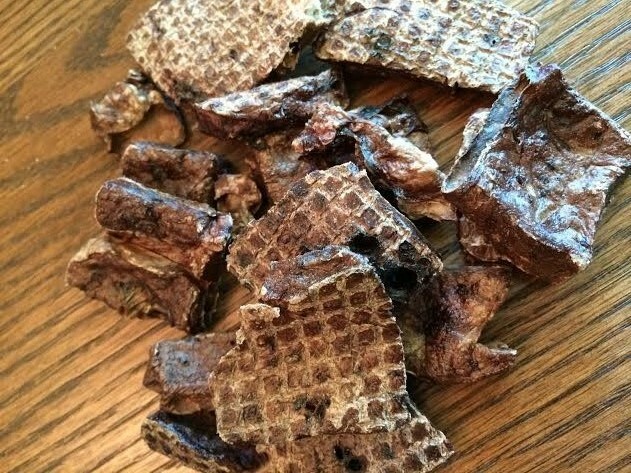 You see, these treats can be fed whole or can easily be broken into smaller chunks, thus prolonging the life of the bag. 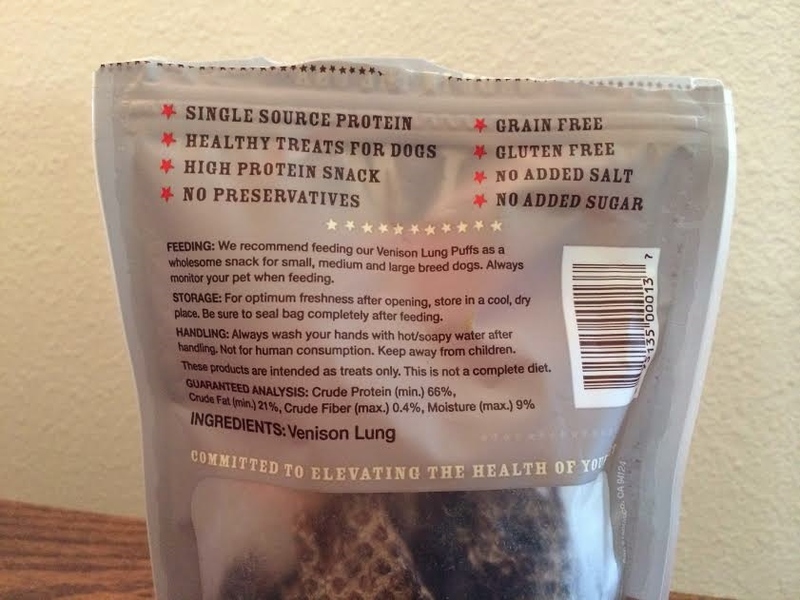 Primal has a complete line of dog and cat food on Chewy.com that includes a multitude of other treats as well as freeze-dried food. Teton likes these treats so much that he straight up drools when I grab the bag. 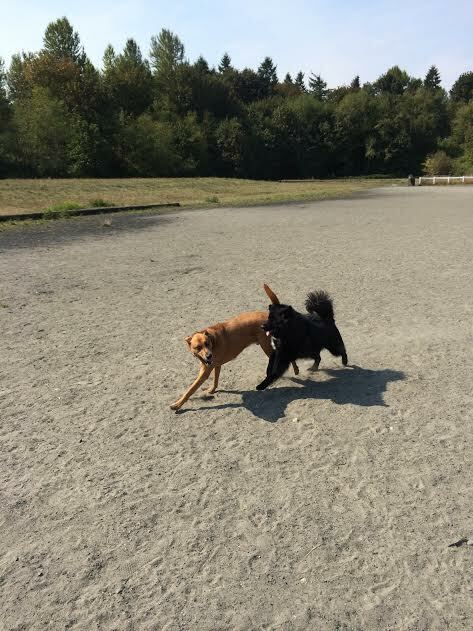 I think they give him good energy for runnin’ at the dog park, too. Thanks to Chewy.com for the treats this month! 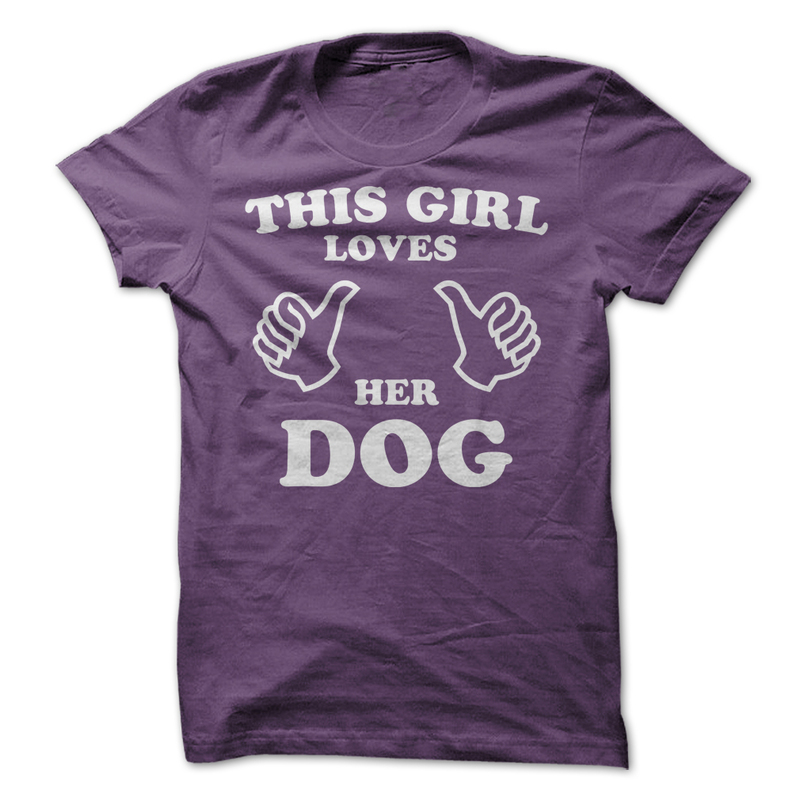 Posted on September 16, 2014 September 16, 2014 by Shannon	This entry was posted in Training Tips. Bookmark the permalink.